Here we go! 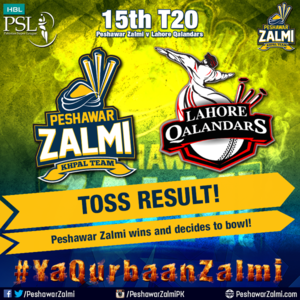 @JunaidkhanREAL opens the bowling for #PeshawarZalmi . 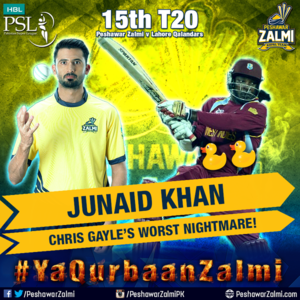 The spectacular @JunaidkhanREAL takes out @henrygayle on a duck again!